As this comic is published, I will be on vacation in Rome. Unfortunately, I have not been able to put together enough spare time to build up a buffer of Sunday annotations, so this is a first for Irregular Webcomic! A filler strip. I'm actually rather ashamed of having to do this. After all these years, this is the first time I've ever been physically unable to make a comic (or full length annotation) in time. But it's about 48 hours before my flight leaves, and I have to do stuff like go to work where I have actual stuff to do that I get paid for, and pack my bags, and make photocopies of my passport in case I lose it, and arrange travel insurance, and help my wife do laundry so we have some clean clothes to take with us, and, oh yeah, eat and sleep. Oh damn, yeah, I need to phone VISA and AmEx as well to let them know I'm travelling so they don't cancel my cards when they suddenly get hit with multiple bills from Italy (like happened one time years ago when I was in the USA and my VISA card stopped working). There's probably a bunch of other stuff I should remember to do too. So, I'm sorry, but there will be filler material today and for the next three Sundays while I'm away. 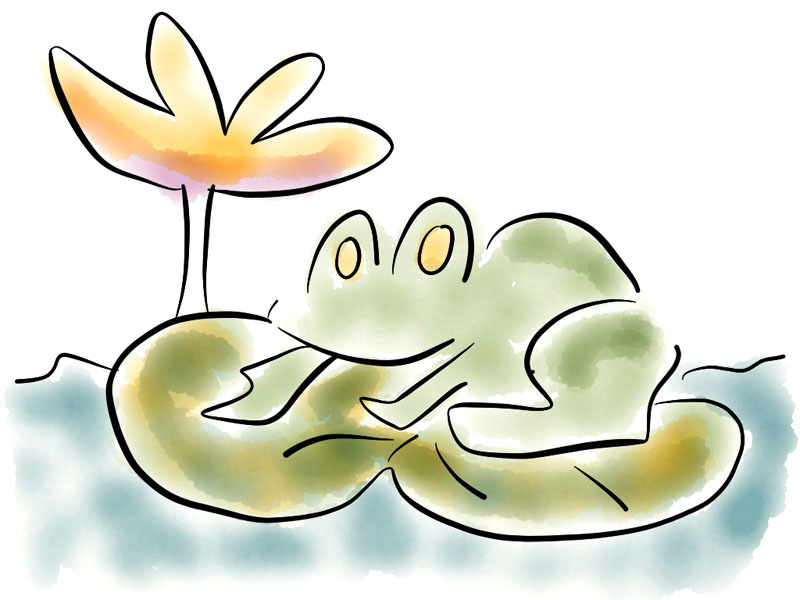 Here's a pretty frog I drew. Last Modified: Sunday, 29 April 2012; 03:11:02 PST.